Black mold, also known as “toxic mold” produces mycotoxins. According to the Center for Disease Control, toxigenic molds can cause certain health conditions, including pulmonary hemorrhage or memory loss. While these cases are rare, they have been reported. In less rare cases, though, black mold exposure has been linked to cough and wheezing, along with stuffy nose and itchy eyes and skin in healthy people. If the person continuously exposed to black mold suffers from allergies or asthma, the effects could be much more severe. Black mold can be particularly dangerous for people with chronic illnesses, like cystic fibrosis, chronic obstructive pulmonary disorder (COPD), immunodeficiency disorders and with a weakened immune system. If you or anyone in your household suffers from any long-term conditions that compromise their immune system, it is particularly important to carry out regular mold inspections throughout your home. Black mold has a characteristic color that is not easily missed when it’s located in visible areas. 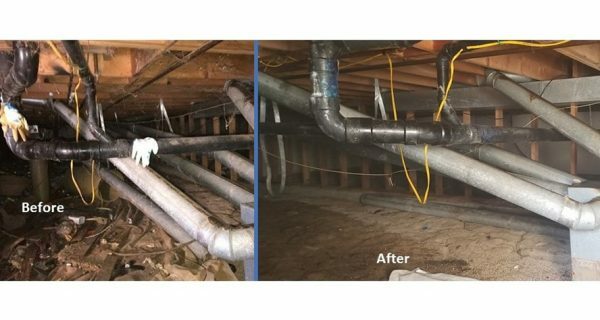 The problem arises when the mold growth is in out-of-sight areas, like crawlspaces, attics, or inside the walls, resulting in inadverted long-term exposure to the toxic mold. Long-term exposure to black mold could lead to a completely different set of symptoms, which is why it’s important to do periodic mold inspections with professionals like the experts at Restoration 1. If you or a family member has been experiencing unexplained hair loss, anxiety, confusion, memory loss, numbness in hands and feet, stomach pains, sensitivity to light, weight gain or muscle cramps, it could be a sign of mold exposure. There are certain signs of black mold that you can look for around your home, particularly if you’ve been feeling ill for no apparent reason. Smell. Black mold has a particular earthy, musty smell. It’s unpleasant, but it’s easy to get accustomed to it when you’ve smelled it for a while. If you notice a strong, pungent smell in any area of your home or business, call your local Restoration 1 experts for an inspection. Better safe than sorry! Spots. Early signs of black mold include the appearance of dark spots on the ceilings or walls. 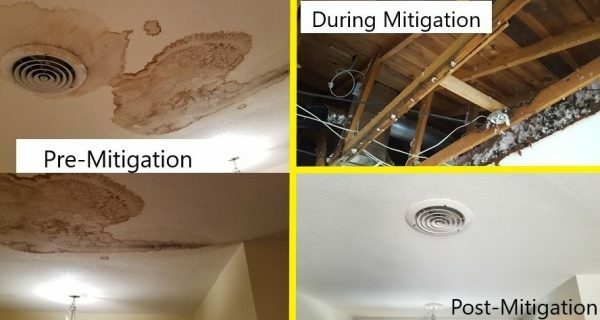 While they might not necessarily indicate the presence of mold, they might be a sign of water damage, which could easily lead to mold if left untreated. Respiratory issues. While upper respiratory tract infections are common and widespread, sometimes they could mean that you’ve been exposed to black mold, particularly if you have itchy skin or watery eyes. Talk to your doctor if you’ve been experiencing this symptoms for a while without improvement. They will be able to accurately determine if the cause of your symptoms is black mold. You might be tempted to get rid of mold yourself, but think about it before you do it! Dealing with a mold infestation can be dangerous if you’re not wearing the proper safety gear. It is also important to clean up any mold damage in a particular way to avoid releasing the spores into the air. 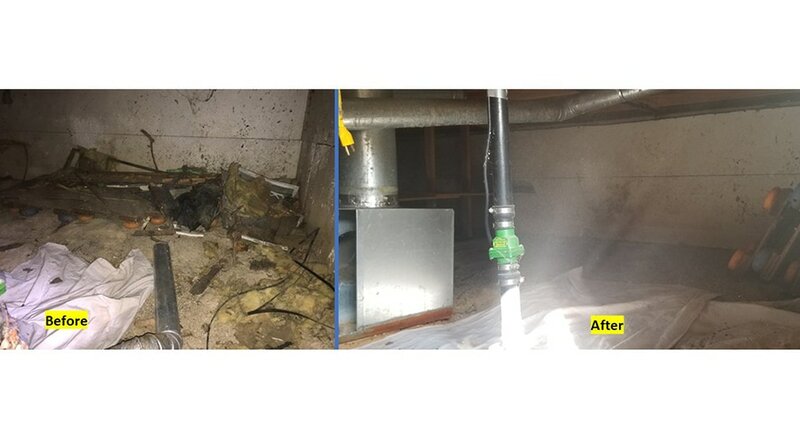 At Restoration 1, we have teams of local experts ready to help with your mold removal needs. Our professionals will inspect the premises, then clear the damaged areas and take preventative measures to stop the mold from growing back. Contact your local Restoration 1 today to learn more about our property restoration services.